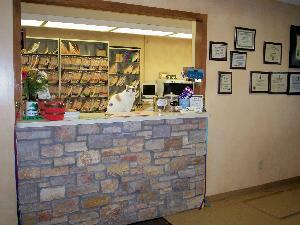 Where our friendly staff (or our clinic cats) will greet you and your pet with a smile. 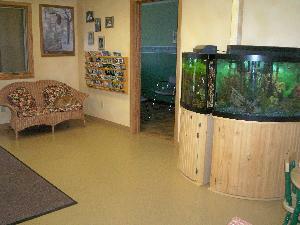 Reception area- There are relaxing aquariums and current reading materials as well as a children's area. You may be greeted by our clinic cats. 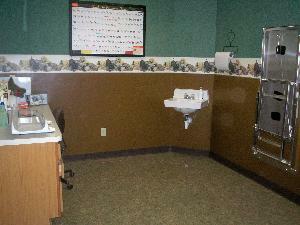 Exam rooms- Our four exam rooms are spacious and clean. 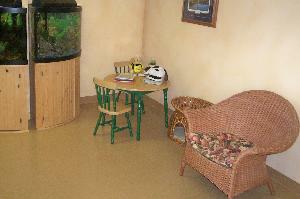 We have a special kitty room as well as a room specially equipped for large dogs. Laboratory- Our state-of-the-art in house laboratory allows us to run your pets' diagnostic tests at the clinic within minutes or hours instead of days. 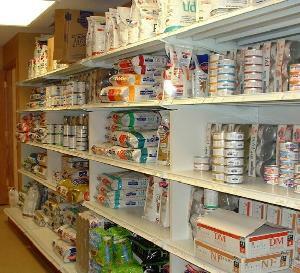 Food Aisle- We have an extensive variety of regular and prescription foods on hand at all times, so we can have your pet's food available when you need it. If you call ahead, we will even have your food up front and waiting for you. Pharmacy- Our complete in-house pharmacy allows you to get the medication your pet needs without having to go to the pharmacy. We will also have your prescription refills ready for you if you call ahead or request them online. See Prescription Refill page. 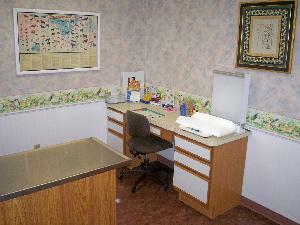 Treatment Room- The treatment room is the heart of the clinic. 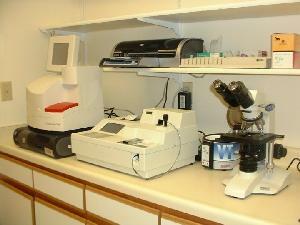 We have the equipment and supplies necessary for everything from wound treatments to emergency life-saving procedures. 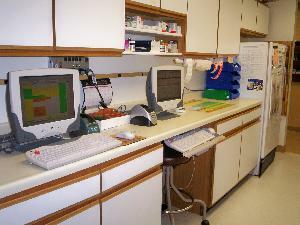 Surgery Suite- This room is reserved especially for sterile surgery. 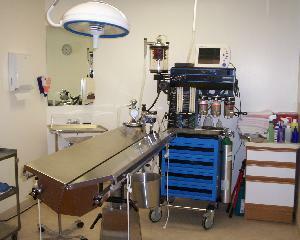 It is equipped with a human-grade anesthesia machine with ventilator as well as the latest monitoring equipment. 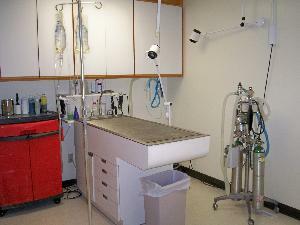 While in surgery, patients are monitored by equipment as well as by a trained veterinary technician. Radiology- Our modern radiograph machine takes excellent quality diagnostic radiographs. 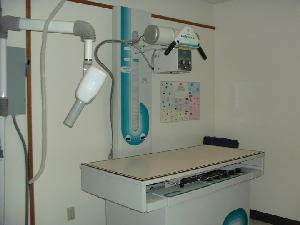 We also have a dental x-ray machine for diagnosing dental pathology. 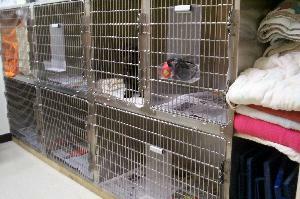 Wards- We have separate cat and dog wards to minimize stress to patients. We also have an intensive-care ward for patients who need constant monitoring and care.